1. Live by the Three... Belmont upset the Atlantic Sun conference's regular-season champion East Tennessee State on its home floor in the worst way possible — with a 94-67 rout underwritten by a flurry three-pointers. Belmont made 12 in the first half alone, including a desperation shot at the buzzer — the salt in the wound that made it 49-30. The team shot 48.3 percent from behind the arc (only slightly worse than the 50.0 percent it shot overall) with nearly half its field goals being threes. This should bode well for the tourney, where the only chance tiny schools like Belmont (which qualified for the second year in a row, and the second time in school history) is to get hot from 3-point territory. 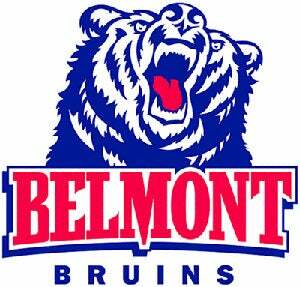 Schools like Belmont may not have the opportunities for such an upset much longer, however — once again, there is grumbling that the college three-point should be pushed back at least a foot, or perhaps even all the way to the NBA distance. Of course, we've heard this all before. 2. The People Behind The Music. Sure, country star Vince Gill is Belmont's most famous alum and the basketball team's biggest fan, but as a graduate of the schools's Mike Curb College of Entertainment & Music Business, he's something of an anomaly. The CEMB is the Country (and Christian) music industry's largest incubator of future studio techs, songwriters, managers, entertainment lawyers and label execs. The school has practitioners from each of those professions on the faculty (along with professional expert witnesses, the veterans of those pesky intellectual property lawsuits). Each year, hundreds of Belmont students stock Nashville's intern programs, and other famous alumni include country singers Trisha Yearwood, Braid Paisley, and Josh Turner.